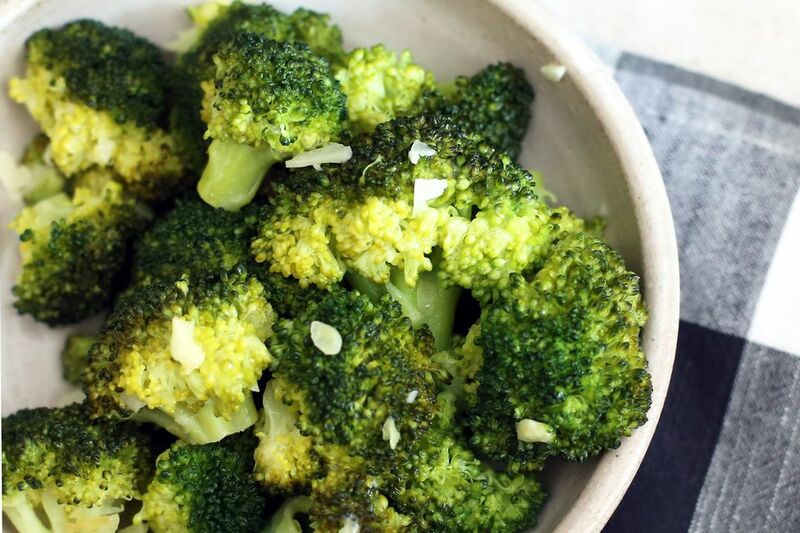 This lemon garlic broccoli takes less than 10 minutes to prepare, and it's a nutritious and delicious side dish. The buttery lemon and garlic sauce adds just the right amount of flavor to the lightly steamed broccoli. Spice the broccoli up with some crushed red pepper flakes or finely chopped red onion or shallots. See the variations below the recipe for more ideas. This broccoli side dish is a snap to prepare and it makes a tasty and healthy addition to just about any menu. Steam the broccoli florets until tender but firm, about 3 to 5 minutes, as desired. Heat the butter in a heavy nonstick skillet over medium heat until the foaming subsides. Add the garlic to the melted butter and sauté for 1 minute. Add the steamed broccoli, lemon juice, and salt and pepper to taste. Cook, stirring, for about 1 minute, or until just combined. Saute 1/4 cup of finely chopped red onion or shallot in the butter until just tender. Add the garlic and continue with the recipe. Replace half of the fresh broccoli florets with cauliflower florets and steam along with the broccoli. Add 1/4 to 1/2 teaspoon of crushed red pepper flakes to the butter along with the garlic.